Hi. My name is Lea and I make bad decisions. Then I don't learn my lesson and I make the same bad decisions again. It seems I never learn. Back in 2012 I signed up to run the San Antonio Rock n Roll half marathon. At that point, I had run plenty of half marathons before, so this was just another race. But then I forgot to train for it. Yeah, let's go with "forgot." A month before the race, I panicked about being untrained and wrote a blog post about how NOT to train for a half marathon, a humorous look at my pain. I ran the race. I apparently didn't die. I was slower than usual and it was painful, but I did it. I swore that I would never again attempt to run a half marathon without training for it. Who did I think I was? Now here we are again two years later and I am once again panicking about being untrained for an upcoming half marathon. It is not as if I haven't been running, it is just that I haven't been putting in the time and miles into those longer runs. This morning I ran six miles and before I could be proud of myself for a run before sunrise, I felt a sense of dread because I realized that six miles is not even half of my upcoming half marathon. Can I do this? 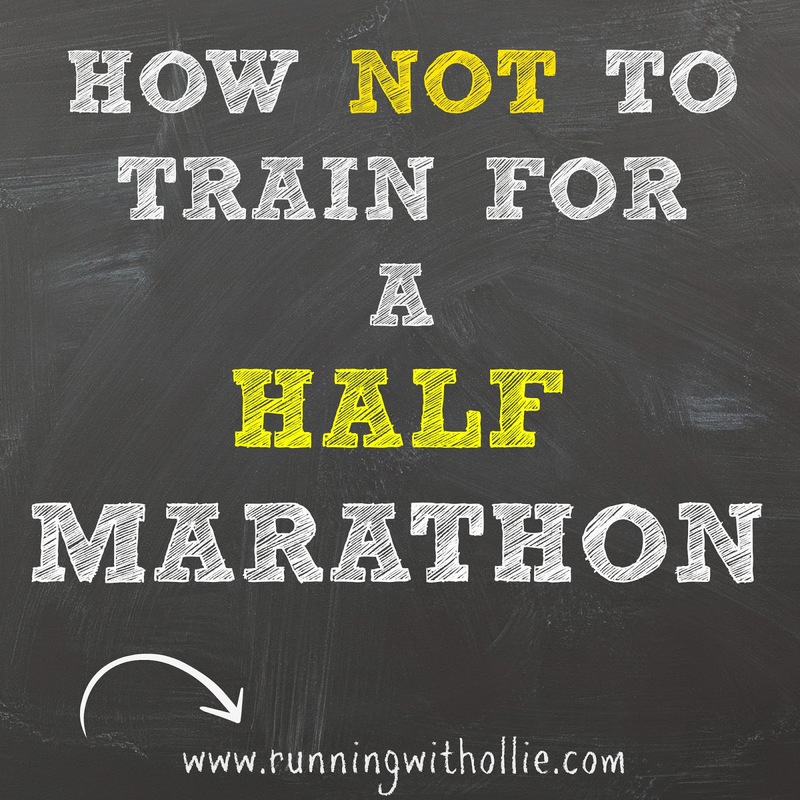 As a throwback to 2012, here are my best tips for how not to train for a half marathon. 1. Talk about signing up for a half marathon for months. Talk about it some more. Don't actually register. Wait until the pricing structure is at the highest cost before finally taking the plunge and registering for the race. 2. Don't run any long runs until four weeks before the race. After all, you have run eight half marathons to date, who needs to train? Get cocky. 3. As a matter of fact, barely even run at all. Once a week should be fine. Forget all about speed work, hill repeats, and tempo runs. 4. Get off track on your diet and gain a few pounds in the weeks approaching the race. Being properly fueled is probably not that important. 5. Wait until four weeks before the race, then panic that you are not properly trained. Beat yourself up over it. Tell yourself that you will probably finish in last place. Convince yourself that you will absolutely finish in last place. 6. Don't have a plan, just wing it. 7. Increase your weekly training mileage more than you should every week to play catch up on those long miles you haven't been running. Risk injury. 8. Let your ego get in the way and run too fast for the distance. After all, you wouldn't dare want to post a run on the internet for all the world to see, with a pace over a nine minute mile (gasp! the horror!). You know people are probably definitely judging you by the pace you run. People care about your pace. 9. Don't overly concern yourself with safety or avoiding injury. All that matters now is that you finish this race without a minute of walking and that you set a new personal record, despite the fact you have not been training to do that. 10. Write a blog post about it dripping with sarcasm. Maybe one of these days I'll learn my lesson. I plan to fumble through this Dallas half marathon in a couple of weeks, then I'll make my comeback at the Pittsburgh half marathon in May 2015. I promise to train this time. Starting today. Haha! I love it! I am doing all the how not to train for your first full things right now. Ugh! I over-trained for my half and that may have been worse! Good luck!